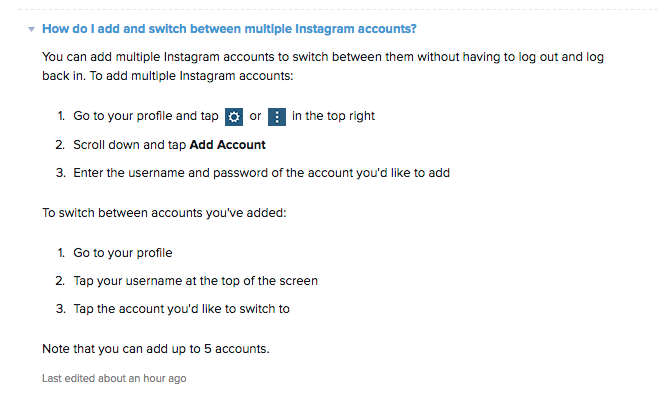 Starting this week, Instagram enables a feature to allow users of the ubiquitous photo sharing app to switch between multiple accounts. This will, no doubt, make heavy users and Social Media Managers alike, rejoice. Up to five accounts can be added and switching between them will not require logout, however you will need to be using version 7.15 of the app (iOS and Android). As a consumer, one account is about all I can handle at present, but as Instagram plays a larger and larger role in brand marketing, this new functionality will likely make the job of many a marketer, that much easier.